Emerald Web Hosting, a Seattle based web hosting provider, offers a number of web hosting services including: shared web hosting, reseller hosting, online marketing services, domain registration, and ecommerce hosting. 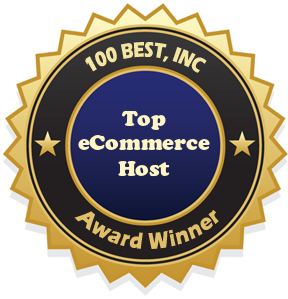 100Best Free Web Space has awarded Emerald Web Hosting our Top eCommerce Host award. Read our Emerald Web Hosting review to see why we have picked them as the Top eCommerce Host. Emerald Web Hosting has all the core ecommerce features that you will need to create a dynamic web store. Whether you are selling downloadable products or tangible goods that you will be shipping locally or internationally, Emerald Web Hosting has all the top ecommerce hosting features. We will quickly review a few of the top ecommerce hosting features at Emerald Web Hosting so you can determine if this is the best ecommerce host for your web store. All of these web hosting features are included in the Ecommerce package for just $14.95/mo (or save money by paying 1 year in advance). Emerald Web Hosting offers a number of additional features that you can purchase if you need them. SSL Certificates: for as little as $80 a year you can protect your information and your customers by using a Secure Socket Layer (SSL) service. Consumers are smart and look for SSL certificate information before purchasing from a website. Purchase your own SSL today to let your customers know that your services and transaction are trust-worthy and reliable. Credit Card Processing and Payment Solutions: powered by e-onlinedata, Emerald Web Hosting is able to provide you with the best merchant account services so you can accept credit cards online. As an ecommerce business, accepting online payments is essential. Get started for a $79, one-time setup fee. Domain Name Registration: Emerald Web Hosting offers domain registration services for .biz, .com, .info, .me, .name, .net, .org, or .us domain names. Purchase a new domain or transfer your existing domain to Emerald Web Hosting today. Web Hosting Customer Support: Emerald Web Hosting provides a number of web hosting customer support options. Call toll-free Mon-Fri. 9AM-5PM Pacific time, email support through direct email or contact forms, use the ticketing support system for more in-depth problems and questions, or use the web host manager tutorials for email clients, Fantastico tutorials, cPanel tutorials and more. Whatever your web hosting needs, Emerald Web Hosting has something for everyone. If you are looking for the top ecommerce host for your site, visit the Emerald Web Hosting official site for complete details to decide if they are the best ecommerce host for your business hosting needs. This entry was posted in Uncategorized and tagged best ecommerce hosting, emerald web hosting, top ecommerce host. Bookmark the permalink.